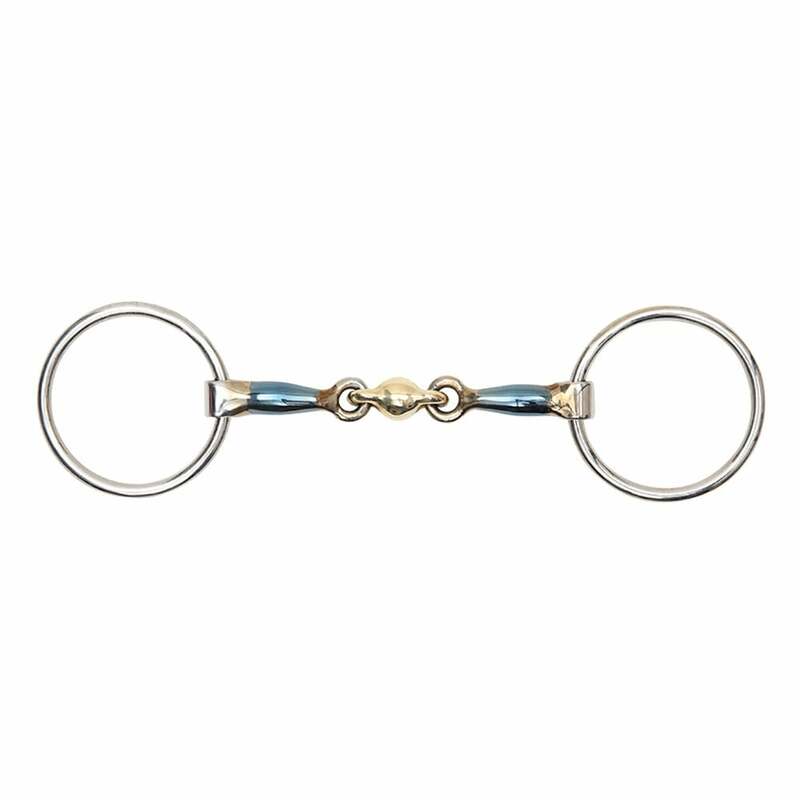 The Shires Blue Sweet Iron Loose Ring Bit with Lozenge features loose ring cheeks to help discourage fixing and leaning on the bit. These cheeks have more movement than a fixed cheek to follow the angle of the tongue whilst the shaped brass alloy lozenge offers even pressure and can encourage the contact. Blue Sweet Iron oxidises easily to create warmth and a sweet taste to encourage acceptance and salivation. The brass alloy lozenge produces a warm, more palatable bit. Please note that the blue colour of this bit will fade with use.